It can be frustrating, the way it infiltrates anything and everything in one’s routine. At first, we might not be able to put a finger on what’s going on, or even think of it as a major problem in the first place. But then, slowly but surely, it interferes with everything: work, family, relationships, and personal life. We’re talking about problems with memory. It might start with simply losing things or missing appointments—which, to some extent, is normal. It’s when poor memory grows into a bigger issue that life gets harder and overshadowed by the problem constantly. For one, poor memory can burrow away at one’s confidence if a person can’t focus or remember important things. On the other hand, it can also get in the way of relationships of all kinds, especially if it makes one unreliable and forgetful. Anyone can experience these struggles. Young or old, male or female—and for many different reasons. I’M STRUGGLING WITH MEMORY: WHAT DOES IT MEAN? Most of us might struggle with poor memory sometimes. When we get these issues once in a while, it’s fairly normal. But when poor memory becomes a persistent problem—and if it’s meddling in one’s quality of life—it tends to mean there’s something bigger going on. But ultimately, why does memory fade? It could be due to being buried under stress, or not eating super well, or even a simple, natural consequence of aging. Any above issue ultimately signals unhealthiness and fatigue in the brain, nerves, and nervous system. And because these things may challenge and tire our neurological systems, forgetfulness and poor memory are common symptoms. Things like stress, eating poorly, and aging might hamper our nerves and nervous systems a little bit. As a result, memory struggles can be a mild consequence—and the good news is that, by working on these non-serious causes, memory can be improved. In other instances, severe poor memory issues could be a red flag of issues that are quite serious. Still, chances are more likely that most people who experience poor memory don’t have a serious condition to worry about. But if forgetfulness is potentially dangerous—such as leaving a burner on or getting lost while in the wilderness—it may be time to keep an eye out for other symptoms that could also indicate a bigger problem. On a more anatomical, cellular, and microscopic level, why does poor memory even happen? Forgetfulness, confusion, and difficulty remembering things ties into that one major factor that is also responsible for so many other issues: inflammation. Inflammation itself is a natural event that occurs due to immune responses and other factors. As we age, too, the cells in our bodies begin to break down and oxidize naturally—and this same oxidation (due to free radicals) can cause inflammation and damage to cells. Damage to the nerves, neurons, and nervous system from inflammation and oxidation (such as what occurs in our mitochondria) ultimately accounts for poor memory. It’s also responsible for similar struggles such as cognition decline, brain fog, and dementia. In short, the very same things that exacerbate or speed inflammation, free radical damage, and a slew of other possible conditions, are also what may cause poor memory. With this knowledge, we can thus narrow down that any inflammation-causing food or habit is something to avoid in order to improve poor memory. Not to mention: we can also turn to foods and lifestyle habits, especially ones that spur autophagy. This even includes certain research-supported herbs and mushrooms known to ease inflammation as antioxidants, and which are thus useful for improving poor memory, too. If the reason for memory struggles isn’t a serious one, there are some easy proactive steps one can take in their own life to combat forgetfulness. Even better, many of these approaches are completely natural. Eating well, sleeping well, exercising often, and taking healthy measures like quitting smoking never hurt, and they’re good for just about anything. But in addition to these healthy basics to boosting memory, the natural world may provide a little extra in the form of healing mushrooms and herbs—absolute gems that are supported by both traditional use over thousands of years, plus the rigorous research of the best scientists today. Just like the lion is considered king of the jungle, lion’s mane is often thought of as the king of all memory-boosting mushrooms—and herbal supplements too, for that matter. That’s because this pom pom-like mushroom has been proven by research and science to be “nootropic,” and is also one of the most researched mushrooms on this topic in the world. Nootropic is a word used to describe anything that can help enhance cognition, memory, mental function, and acuity. From what research has shown, lion’s mane has all of this in spades, especially when it comes to memory. A 2011 study even showed that lion’s mane helped stop memory deficits in test subjects, and could even possibly be used as a treatment for dementia with more research. In a 2014 major review of the culinary and healing mushroom, use of lion’s mane as functional food and medicine for improving memory was proposed. It was also named as potentially very effective for reducing Alzheimer’s risk. Though lion’s mane may be reigning king of memory-boosting mushrooms, bacopa might just be the reigning queen in the plant-based realm. An Indian herb popular in Ayurvedic practice, there are loads of studies exploring this plant’s impact on memory—in fact, more than there are to support lion’s mane. 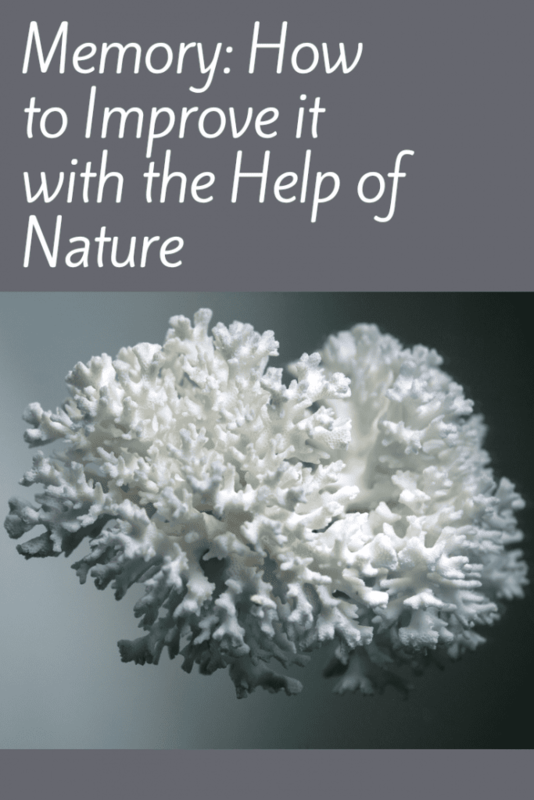 Though lion’s mane has plenty of research supporting its cognitive benefits in all areas (including memory) as a nootropic, bacopa, on the other hand, maybe the master of memory especially. This was shown in a 2012 review of the best quality studies on bacopa out there, including many that were double-blind, randomized, and placebo-controlled. In this review, it was concluded that bacopa stood out strongest in supporting better cognition, but through memory most of all. As such, the herb could indeed be called a memory booster. Later in a different 2013 study, it was found that bacopa specifically protected neurons from damage that would cause memory problems, making it quite the promising memory herbal remedy. For helping to improve memory, lion’s mane and bacopa are both certainly leaders of the pack. But cordyceps, a bizarre mushroom from Asia, isn’t lagging too far behind. To most familiar with cordyceps, this fungus has a wider reputation as an energy-boosting adaptogen. It may protect the body from overall stress, but also help boost athletic performance in some ways. But research has lots to say on how its enhance memory, too. In fact, there are almost as many memory studies as there are for bacopa. One 2016 study, for example, showed that cordyceps helped test subjects solve complex challenges using memory much easier than if they hadn’t taken the mushroom. A study again in 2016 also demonstrated that cordyceps could improve memory even in brains that were damaged, and thus more likely to struggle with memory problems. In summary, cordyceps’s influence on the brain and nervous system is singular and impressive—not just boosting energy, but also amplifying memory, cognition, and much more besides. Even the smallest and strangest herbs used as traditional remedies in ancient times may have something to offer for recovering better memory. This includes huperzine A, a compound extracted from a plant known as Japanese or toothed clubmoss. Even in Traditional Chinese Medicine (TCM) today, this type of clubmoss is used as a tonic and folk remedy for the nerves, brain, and much else besides. But it’s huperzine A that has drawn the greatest attention from modern scientists and researchers. 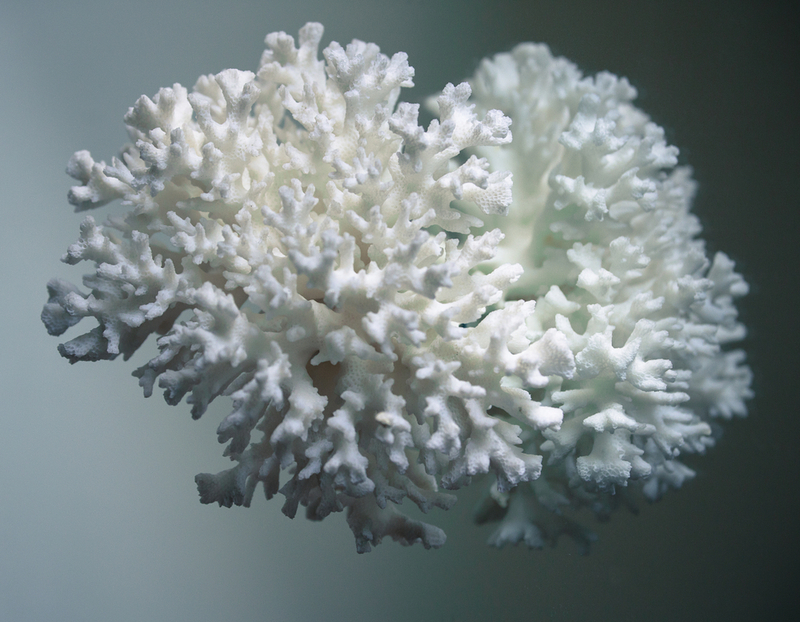 Excitingly, this compound may have far-ranging benefits that are comparable to the mushroom lion’s mane. It could raise cognition, reduce Alzheimer’s and dementia risk, and much more. However, its memory benefits are at the forefront. A 2013 study showed that it considerably improved memory problems and dementia in the elderly. Yet another study in 2011 found that it improved memory in subjects given memory-related tasks compared to similar subjects that weren’t given huperzine A. An amazing plant-based phytochemical for memory? Quite possibly. The wonder-filled woodland mushroom, reishi, has gained much fame and attention in many other areas of health besides just memory and cognitive benefits. This includes boosting immunity, reducing cancer risk, and much more. Still, reishi—a mushroom from the genus Ganoderma—is no slouch for brain power. Like fellow mushrooms lion’s mane and cordyceps, reishi contains compounds that are nootropic, neuro-protective, neuro-regenerating, and—yes—memory-enhancing. A study in 2015 demonstrated such. In it, subjects given extracts of the mushroom were able to overcome amnesia and restore memory, even following injuries that would impair memory. Another study in 2012 showed similar, except in this case, reishi helped subjects overcome symptoms of Alzheimer’s disease, which in turn greatly improved memory. No doubt, these memory-enhancing results are due to reishi’s triterpenes and polysaccharides, which display antioxidant, anti-inflammatory benefits for all organs and systems in the body. This certainly doesn’t include the brain and nervous system, too, which—when better cared for—can lead to less forgetfulness. WHAT ELSE CAN I DO TO NATURALLY HELP IMPROVE MEMORY? Though over time more studies will be needed, these scientifically-supported herbs and mushrooms show incredible promise for the protection and recovery of memory. One day, possibly, they may even be supportive therapies for memory-related conditions—though again, this will require more research until that day. But beyond these gifts from nature, there are few other approaches that can be pursued to help poor memory. That is, in instances when poor memory is mild, and not directly related to a major disorder. Only official treatments for major disorders will help with memory problems and forgetfulness that are associated with those disorders. Otherwise, explore these other natural approaches which—with the help of researched botanicals—could possibly help improve memory, or provide extra support to those experiencing neurological and memory-related conditions. Forgetting something? If so, this won’t be a problem with the help of Neuro Shroom. 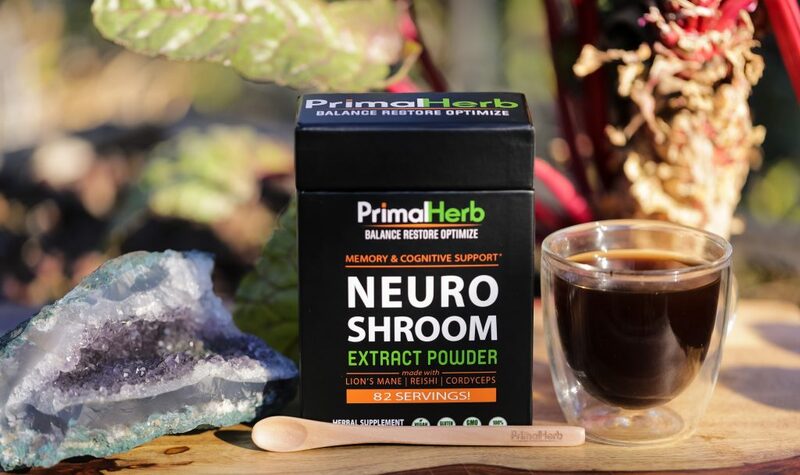 This formula blend features all the herbs, mushrooms, and ingredients in this article, which have been carefully selected for both their traditional uses and studies suggesting possible memory-enhancing (and overall cognition-boosting) benefits. Never miss a thing with Neuro Shroom—no matter how it’s mixed.